Dr Jengo's World: Play-Asia is having their summer sale! International Shipping included! Play-Asia is having their summer sale! International Shipping included! Play-Asia is having their annual Summer Sale on lots of games and toys! Play-Asia sells games from all regions as well as offer international shipping. There's also a free Gran Turismo 6 Limited Edition being given out with each order, so be sure to grab that. There's plenty of classic hits, a couple of cut-price Collector's Editions and dirt-cheap Japanese games.. a little something for everyone. 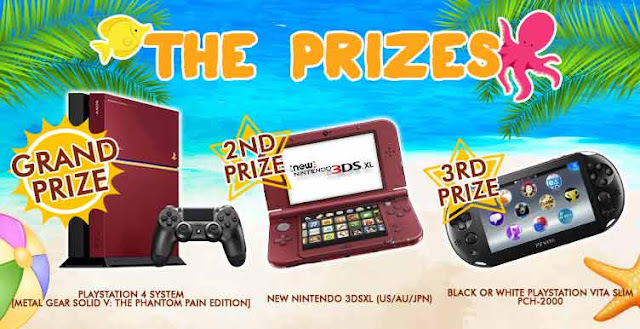 Plus there are contests running alongside their sale! Here's the sale page for you guys.. Happy shopping and hope you get a good deal from the sale and good luck in the contests!